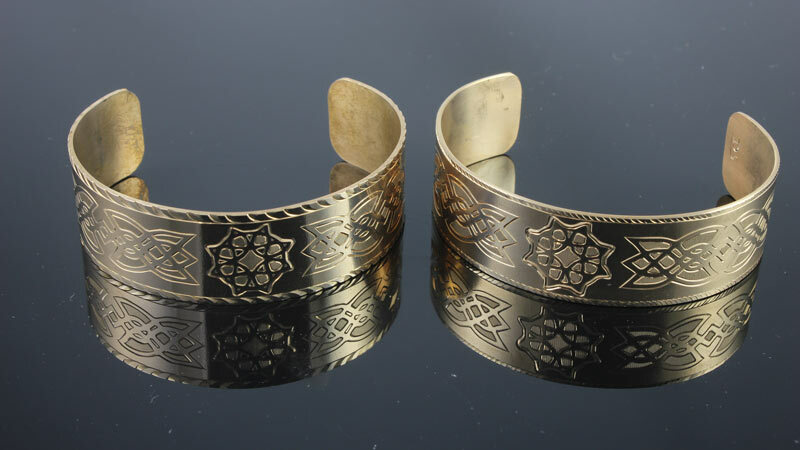 This hand engraved bracelet set is designed, engraved and signed by David Sheehan. 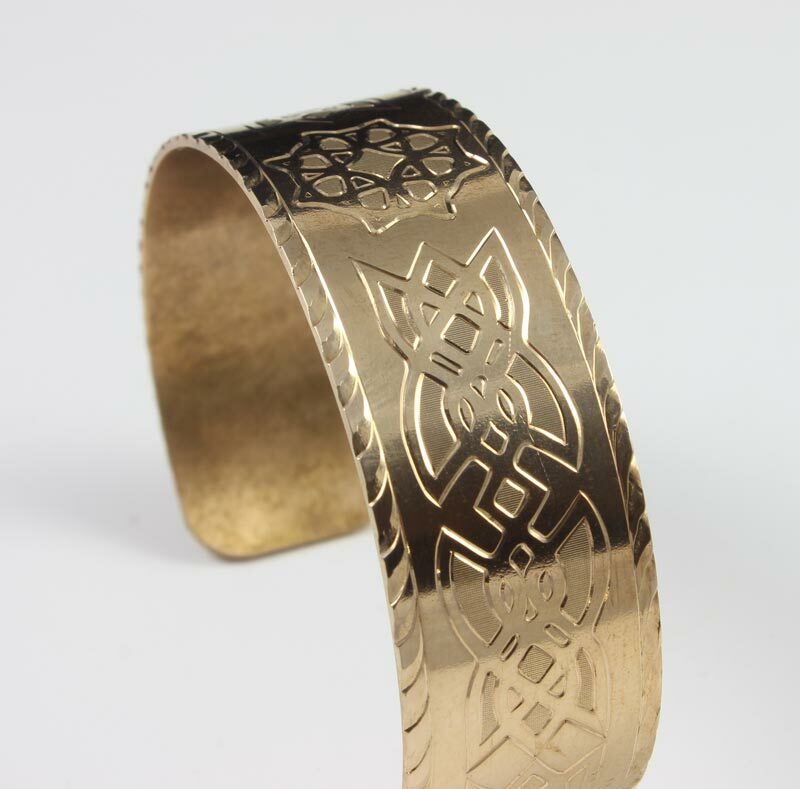 These Celtic style bracelets are made of high quality 18 gauge brass. 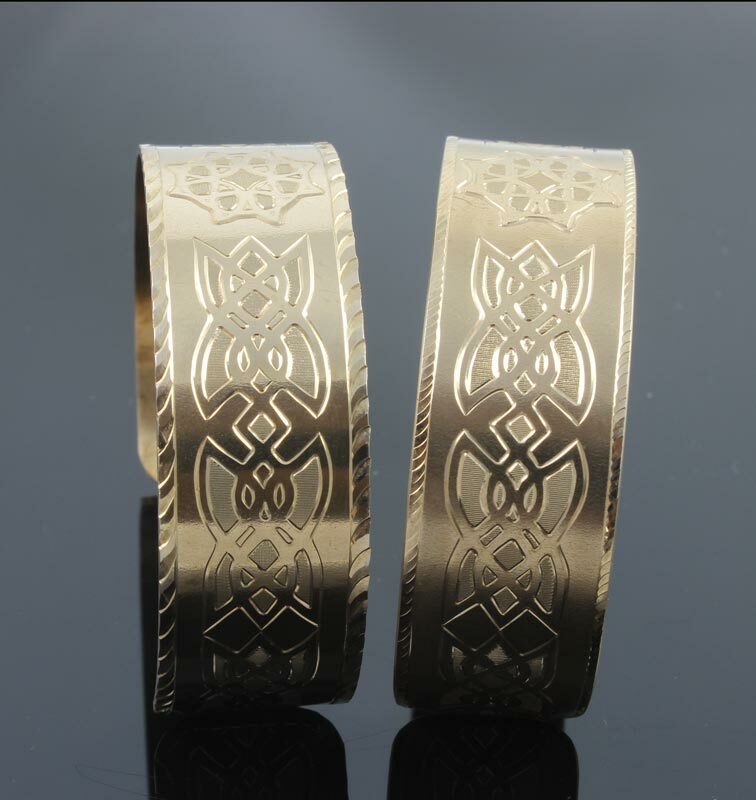 It is 3/4″ wide and 5 1/2″ long. 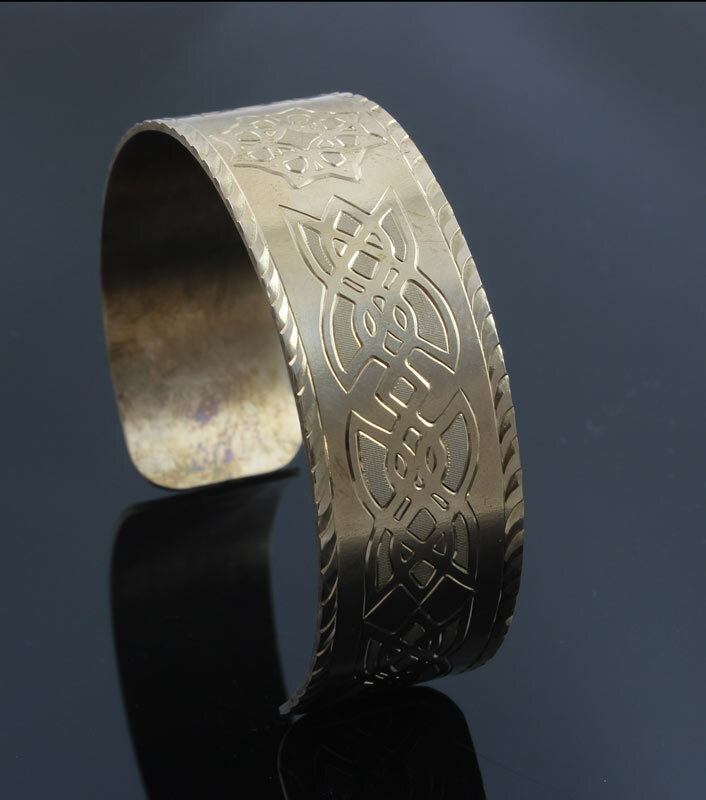 These bracelets feature hand engraved borders and Celtic designs.